At a special meeting held on Wednesday evening, councillors again voted in support of Chesterfield Borough Council applying to be part of a devolution deal which will see the borough benefit from a share of £900 million in funding over a 30 year period. In applying to be a full member of the Sheffield City Region Combined Authority, powers and funding relating to issues such as transport, skills and training and business support will be controlled locally rather than by ministers and civil servants in London. A letter from the Government to the Sheffield City Region was provided to councillors at the meeting, confirming the powers to be devolved to local councils and the allocation of a single pot of flexible funding amounting to at least £484 million over the next five years, as a direct result of the devolution deal. This will not affect the services that the council currently provides to residents in Chesterfield. 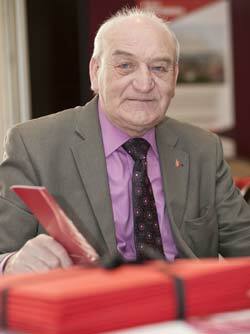 The meeting was called following the threat of a legal challenge by Derbyshire County Council. The report which was considered by councillors when they made their original decision to apply for full membership of the Sheffield City Region on 3rd March, did not contain a full Equality Impact Assessment, which looks at how the decision will affect groups protected by anti-discrimination legislation. Although no other Derbyshire council, including Derbyshire County Council had produced a full Equality Impact Assessment on the issue, only Chesterfield Borough Council was threatened with legal action. Councillor John Burrows, Chesterfield Borough Council's leader and cabinet member for regeneration, said: "We held this second meeting to look again at the options open to us in terms of devolution deals rather than spending public money on legal battles. "As councillors elected to represent Chesterfield residents, we have looked again at all of the evidence presented to us, including the full Equality Impact Assessment and the decisions of other councils in Derbyshire and Nottinghamshire. "We feel strongly that the Sheffield City Region devolution deal is the best deal for Chesterfield people and, I want to reassure all that this does not mean that Chesterfield will become part of Yorkshire, Chesterfield is and will remain a Derbyshire town - that is not up for negotiation." Residents will have another opportunity to have their say on the issue in a further round of public consultation, to be held in the late spring and early summer, before a final decision is made by the Secretary of State for Communities and Local Government in the autumn. 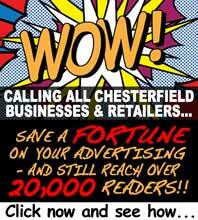 For the latest on the issue, visit: www.chesterfield.gov.uk/devolution.